BRUSSELS (Reuters) - Euro zone states are considering cheap loans to member governments as an incentive to carry out painful economic reforms, an EU document showed, introducing a discussion on fiscal transfers. The proposal did not specify how exactly the loans could be financed, mentioning only a European Commission idea from March that it could be either through direct contributions from governments or through designating a new revenue source. 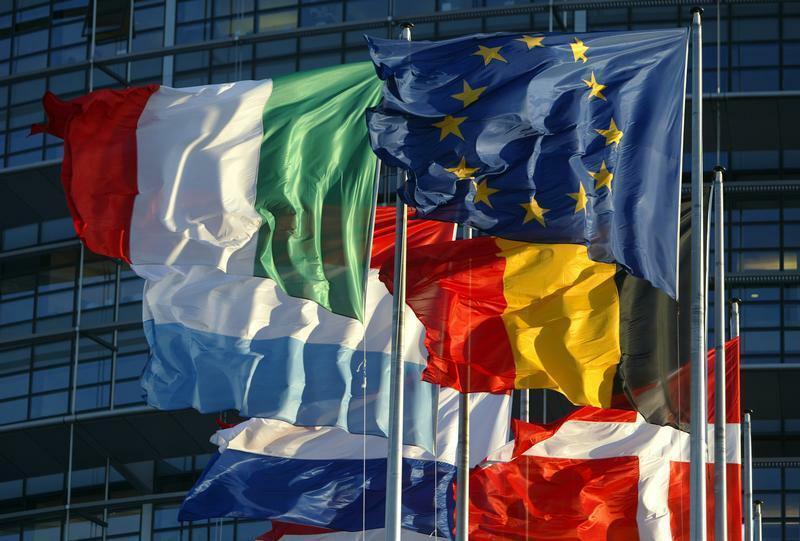 The document, prepared by the chairman of European Union leaders Herman Van Rompuy, will form the basis of discussions between senior euro zone officials at a meeting in Brussels on Wednesday to prepare for next month's European Union summit. The loans would be part of so-called contractual arrangements, which would be legally binding contracts with economic reform targets and milestones that trigger the payout of tranches of the agreed loan. The loans would be attractive because they would be offered at interest rates below those in financial markets. In that respect, they would amount to a degree of subsidized lending, ultimately amounting to a mutualising of risk among involved member states and a degree of financial transfer - an idea that Germany has long resisted. "Loans would imply only limited fiscal transfers across countries," said the nine-page document, obtained by Reuters. "Indeed, the transfer element would be limited to a lower interest rate than the market rate of most beneficiary member states, capturing the positive externality of the reforms for the EU as a whole," it said. A mechanism for fiscal transfers would move the euro zone a step closer to a fiscal union, especially if the mechanism of loans for reforms were to form the nucleus of a euro zone budget, so far only cautiously referred to by policymakers as the euro zone's "fiscal capacity". "The forms of support and means available could grow over time and come to constitute a financing capacity for the euro area," the document said. However, chairman of euro zone finance ministers Jeroen Dijsselbloem, referring to such a broad idea in an interview with French daily Les Echos on Friday, was critical. "Modernizing the economy must be motivated from inside and I don't believe for a second that big countries are going to undertake reforms in exchange for cheap loans or other such things, as Herman Van Rompuy is considering," he told Les Echos. "But this subject needs to be discussed by heads of state. These proposals look a bit like those on Eurobonds in my view," Dijsselbloem said. "I'm not in favor because they would remove any incentive to run a healthy budget policy. Only differentials in the interest rates charged by the markets depending on the policies implemented can give the right signal. Let's not repeat the same mistakes," he said. To ensure a government delivers on the goals agreed in the contract, the loan could be paid out in tranches and the interest rate subsidy could be paid out only at the end of an agreed implementation phase. If the contract is breached, the euro zone could suspend payouts or even ask for its money back. To qualify, countries would have to draw up legally binding plans for reforms that would then be approved by other euro zone states. The conditionality would come on top of other macroeconomic programs such as the Stability and Growth Pact and the euro zone's new budgetary oversight powers. The size of the loan would not be linked to the cost of reform and would be meant as general support for the economy. It is not clear what time-frame the loans would be offered for, or what the limit on the size of any loan would be. "The specific amount of financing would not be linked to the direct cost of reforms, which generally is difficult to measure," the document said. "Financial support should be conceived as an incentive or as general support to the overall economy rather than as a compensation for the specific cost of reforms as such, as well as a broader signal of European support to the economic reform agenda of each member state," the document said. The loans would not be available to countries running excessive economic imbalances or currently under a bailout. However, an official briefed on the document said a country like Ireland, which is about to exit a program, could, for example, request a contract and if approved, benefit from the cheap loans. While there were no details on how the loans could be financed, one possibility, the official indicated, might be for the euro zone's rescue fund, the European Stability Mechanism, to raise money on international markets and on-lend capital to a contracted member state, although the exact framework and process of the lending is yet to be finalized. Euro zone officials said that the lack of clarity on financing was the main weakness of the proposal and that discussions on it could only move forward once the issue was clarified. "The proposal as submitted is hardly acceptable as it lacks clarity on how you finance such an instrument," one senior euro zone official said. "How are we going to finance this? From the EU budget? Because these won't be small amounts ..." the official said, also pointing to the rise in public debt that such loans would entail.